The Trump administration said in a court filing that it could take 2 years for federal officials to identify the thousands of migrant children that were most likely separated from their parents before the government began collecting data through its "zero-tolerance" immigration policy in April 2018, the New York Times reports. Details: The administration plans to apply a statistical analysis to about 47,000 children in order to locate families who entered the U.S. on or after July 1, 2017 — the earliest known date of separation — or when families had their child detained and released to a sponsor before a judge's reunification order on June 26, 2018. 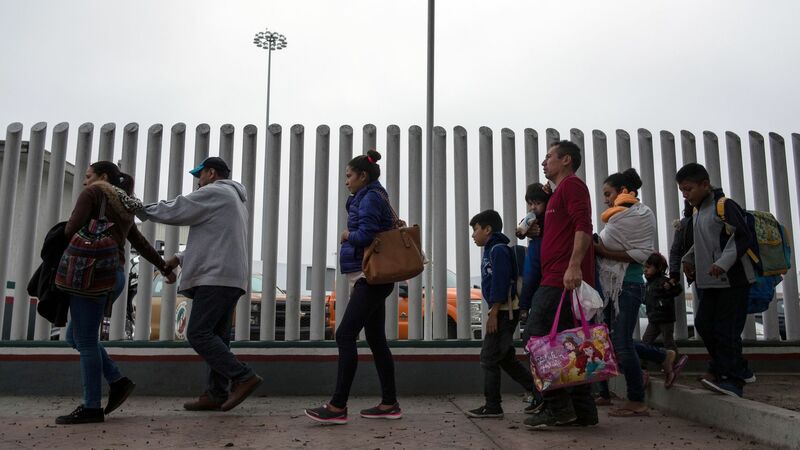 According to Lee Gelernt of the ACLU, about 2,800 children have been reunified with their families or "situated according to their parents' wishes." Go deeper: 3 Florida congresswomen denied access to largest child detention center in U.S.